Calling all UoC Adult Nurses, Mental Health Nurses, Radiographers and Education Students! If you have ever considered joining the army or just want to find out more about the roles available then this event is for you! The army will be running a week of drop-in sessions at the University of Cumbria, Fusehill Street, Carlisle campus in May to answer your questions. Learning Development Officers – The Educational and Training Services is a specialist graduate Branch. As an ETS Officer you’ll have the opportunity to teach soldiers from across the Army and help them to achieve their full potential. Find out more here. Adult Health Nurses – As a member of the Queen Alexandra’s Royal Army Nursing Corps you could be working in modern UK hospitals or the more austere and challenging conditions of a field hospital. Find out more here. Adult Health Nursing Officers – As well as providing the best clinical Nursing Care in a wide variety of settings, both in the UK and Overseas, you will be developed to be able to lead clinical teams, and to support and develop less experienced nursing and healthcare staff. Find out more here. Mental Health Nurses – You provide essential mental health nursing to the Army, working in community-based teams as part of the Queen Alexandra’s Royal Army Nursing Corps. Find out more here. Mental Health Nursing Officers – Nursing management is a challenging job, and nowhere more so than in the Army. You lead a team of nurses in a Department of Community Mental Health in the UK or on operations overseas. Find out more here. Radiographers – You work alone or with others in emergency international trauma teams. When you’re not helping those on the front line of operations you use your skills to help patients in radiology departments. Find out more here. Check out the Army Role Finder here to see what other roles are available in the Army. There is a wide range of benefits to joining the army reserve, including paid bonuses for completing training milestones, learning skills that can add real value to your degree and having the opportunity to undertake training exercises in places such as California, Belize and Kenya. Benefits do differ between roles, so search Army Reserve for more information. Find out more about the Army on their website here. This entry was posted in careers, careers fair, carlisle and tagged army, DROP-IN, fair, Forces on 9 May 2016 by UoC Careers Team. Looking for an exciting graduate position? Unsure of what you want to do after graduation? Come to the Spring Graduate Fair at the University of London. The fair is a chance for students and graduates to meet with scores of prospective employers and postgraduate training providers from a wide range of sectors. The Spring Graduate Fair is the only national graduate recruitment fair held in the spring term and will enable you to meet face-to-face with up to 70 top employers and recruiters from a wide range of sectors. You can network with their representatives, give them your CV and find out more about their graduate opportunities. Past exhibitors have included KPMG, Jaguar, British Airways and Sky. To find out who the exhibitors will be this year, click here for more information. Remember to print out a few copies of your CV to have on hand! As well fantastic networking opportunities, there will also be presentations by career Consultants on the essential topics to kickstart your graduate career. Previous topics have included ‘how to best answer difficult interview questions’ and ‘how to write a great CV’. Entry for these is free and will be operated on a first come first serve basis. There will also be a CV surgery on offer, enabling you to check that you are marketing yourself appropriately and that your CV is on track. These will be delivered in blocks of fifteen minutes and will be run by Careers Consultants from the University of London. The event is free and you can turn up on the day, but to save time it’s worth registering first online. Registering online also means you receive the latest updates and special information to help you get the most from the day. This entry was posted in career, careers, careers fair, careers information, CV, employability, employer, graduates, networking and tagged careers advice, cv advice, graduate jobs, Networking on 24 February 2016 by UoC Careers Team. Next week is ‘Career Ahead Showcase Week’ in Lancaster, from 16th-20th March. Don’t miss out on your chance to find out about teaching, nursing, volunteering, summer work and part-time jobs, as well as graduate internships and a range of other graduate employment opportunities! Check out our programme of events below! This entry was posted in career ahead, careers fair, employability, Fun, Lancaster, university of cumbria and tagged Career Ahead, career ahead showcase, fair on 16 March 2015 by UoC Careers Team. We have a couple of events coming up in March where our students will get the opportunity to network with potential employers. 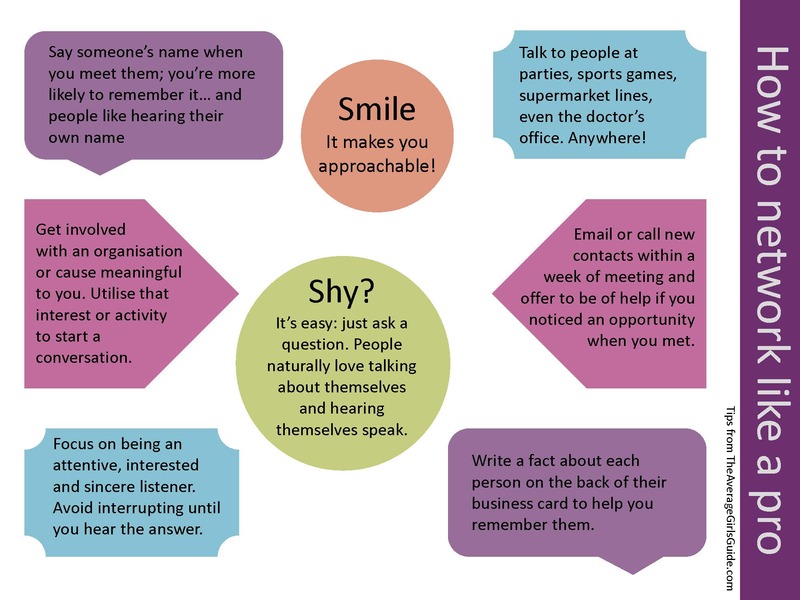 A lot of students won’t have very much experience of networking, so the careers team have put together some downloads to help. They are available at the bottom of this post. From Monday 16 March, the Lancaster campus is holding a ‘Career Ahead Showcase Week‘ – this week will include a Supply Teaching Fair, a Volunteering & Part-Time Jobs Fair, an Employer Fair, as well as the annual Nursing Conference. 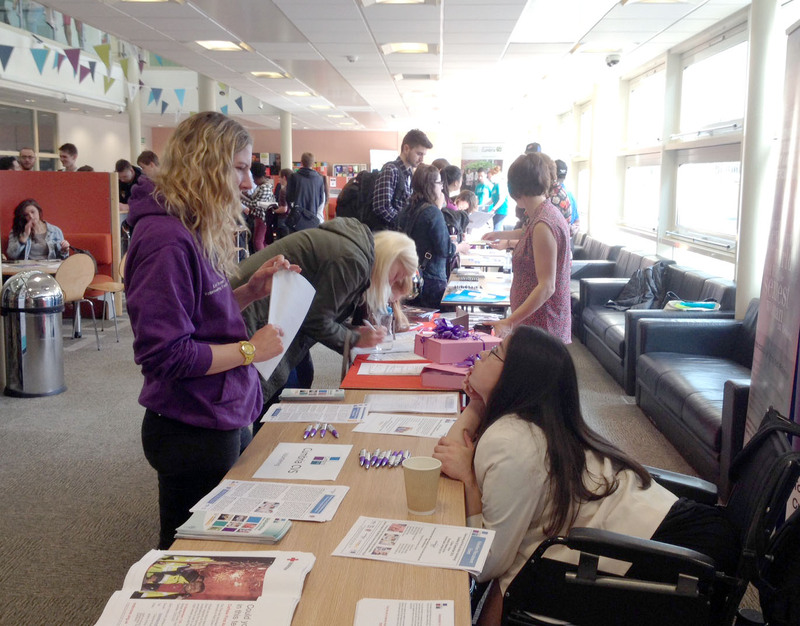 All of these events will give students the opportunity to talk to potential employers. Take a look at the events calendar for more details. On Thursday 19 March at Brampton Road, the careers team, along with the alumni team, are holding a ‘Creative Networking‘ event for all current students and alumni who are either studying or working in a creative area. More details are available here. On Friday 27 March, the Carlisle campus will be holding our annual Nursing Conference for final year nursing students. This entry was posted in careers, careers fair, carlisle, Lancaster, networking and tagged networking tips on 4 March 2015 by UoC Careers Team. We had a really busy day at the part-time and seasonal jobs fair in Carlisle yesterday – lots of students through the doors, and a whole heap of positive feedback too! 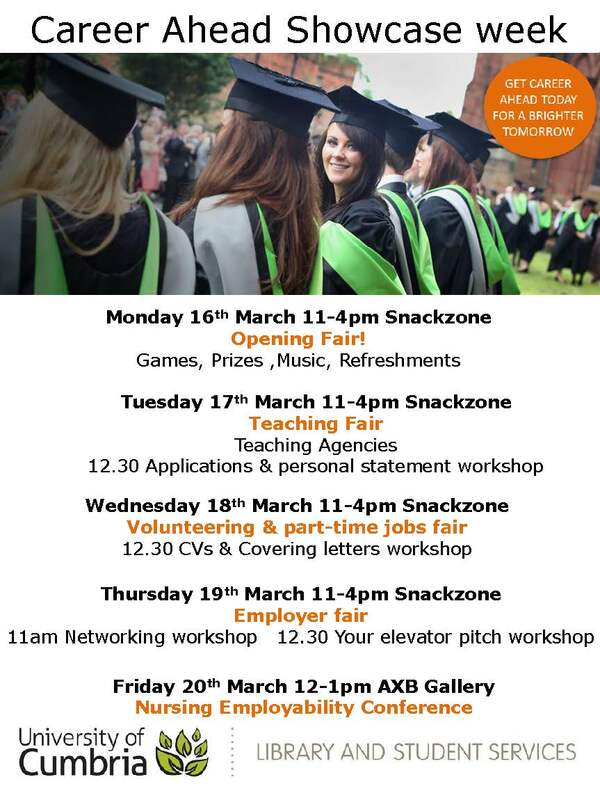 And guess what – we’re doing it all over again tomorrow when the part-time jobs fair hits the Lancaster campus! Pop along to the gateway building between 12 noon and 2.00 pm to meet local employers who have vacancies that they need students to fill! Why not bring along your CV as well? This entry was posted in career, careers fair, carlisle, Fun, Lancaster, part-time work, recruitment and tagged dream job, part-time, part-time jobs fair, part-time work on 1 October 2014 by UoC Careers Team. Useful resources to help you find a part-time job! In advance of the part-time jobs fairs on the 29th September in Carlisle and the 2 October in Lancaster, here are a collection of useful links and resources to help you find a part-time job. The careers team will be on hand at the fairs to answer all of your part-time work related questions! All job vacancies and placements that you may be interested in are advertised on the University’s Virtual Job Shop at http://cumbria.prospects.ac.uk/. Register and you can receive regular emails about all types of work and a range of placement opportunities including part-time and summer vacation work as well as graduate opportunities locally, nationally and even internationally. You can also register your details at www.cumbria.ac.uk/grab or email jobsandplacements@cumbria.ac.uk to receive the weekly “Opportunities Knock” bulletin from the University’s Business Placement service. Your course staff may well forward interesting opportunities to you so check your student email, Blackboard and course noticeboards regularly. Student Ambassadors help the university with marketing activities and outreach work such as open days, Higher Education fairs and school liaison. For more information go to www.cumbria.ac.uk/studentambassadors. Other jobs working for the University of Cumbria are advertised on the University’s website, www.cumbria.ac.uk/jobs. Other part time jobs in the area are advertised in the local press and on their websites. In Lancashire this is the Lancaster Guardian at www.lancasterguardian.co.uk/jobs and in Cumbria this is the Cumberland News at www.clickin2jobs.co.uk which also has a CV Link that matches your details with vacancies. You can also look out for vacancies advertised in shop windows. There are Jobcentre Plus offices at Mitre House on Church Street in Lancaster and also on Lowther Street in Carlisle. They both have Job Points which carry vacancies in this area, around the UK and in Europe. You can also search online using the online database at www.gov.uk/jobsearch. Employment Agencies are listed in the Yellow Pages (www.yell.com). You can register for temporary placements in a variety of sectors, which can sometimes turn into more permanent jobs. In the past students have worked in offices, factories, care homes, warehouses, catering and cleaning although many more opportunities could be available. Many part-time jobs are never advertised and come through developing your own contacts, so let people around you – such as friends, flatmates and staff on your course, know you are looking. Enquiring at the places you would like to work can also see results. Many employers such as supermarkets, bars, cafes and restaurants, gyms and shops often advertise on their own premises for staff, so keep your eyes open. Think about your current skills – are there any ways you can use specialist skills to supplement your other income by setting up your own business or freelancing? In the past students have worked as DJs, offered IT services, designed and produced wedding stationery for friends, traded on Ebay, written for websites, sold their own art/craftwork at craft fairs and markets, proofread and offered private tutoring. Think about what you can offer and place adverts on free-to-advertise sites such as Gumtree. Many charitable and voluntary sector organisations don’t advertise short term or casual opportunities in the press so check out their website or make a direct approach by phoning their office to ask about bank or casual staff. Contact details can be found at www.yell.com under ‘charitable and voluntary organisations’, ‘healthcare’ and ‘care agencies’. Both the Morecambe Bay Trust and the Cumberland Infirmary advertise vacancies for bank staff, which includes opportunities for health care assistants. See www.jobs.nhs.uk for further details. For opportunities in Cumbria Primary Care Trust contact the appropriate Locality Manager. Worthwhile in itself for all the same reasons as part-time work, volunteering of course is unpaid; however you may be able to claim any out-of-pocket expenses such as transport and meals. Additional benefits include free training such as coaching and first aid qualifications as well as the chance to further develop your skills. Starting as a volunteer can often be a way into paid work in the social care and voluntary sectors. You can find out more by visiting www.ucsu.me/volunteering or www.do-it.org.uk. You can also read our post about volunteering here. The careers Service offers advice and guidance on finding work, approaching local employers, writing CVs and application forms and going for interviews. 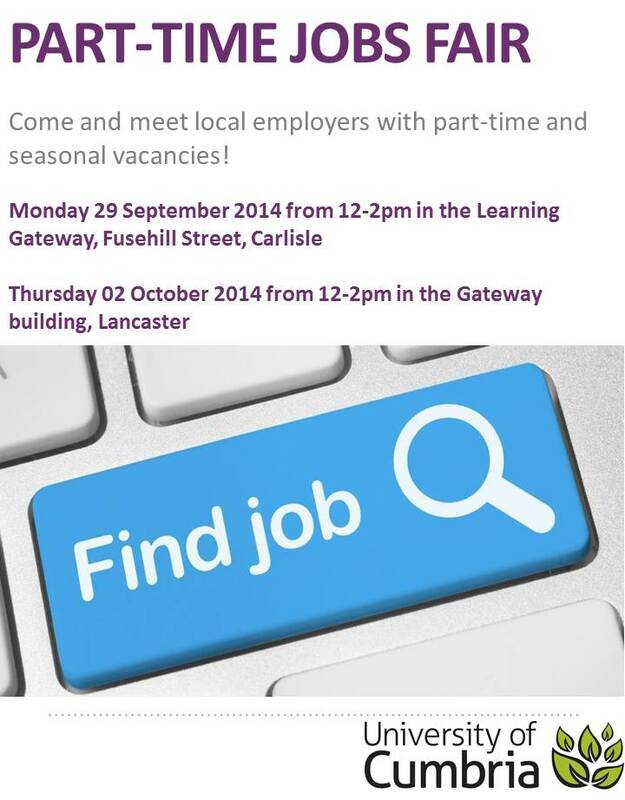 For further information, you can email careers@cumbria.ac.uk or make an appointment at the LiSS desk in the library. This entry was posted in careers, careers fair, employability, part-time work, university of cumbria and tagged jobs fair, part-time, part-time work on 24 September 2014 by UoC Careers Team. It’s nearly time for the part-time and seasonal jobs fair which is being held at both the Lancaster and Carlisle campuses! So now is the perfect time to have a look at your CV and make sure that it is up-to-date and fit for purpose. Are you looking for a part-time job to help fund your studies? Want a bit of extra cash for Christmas? There will be loads of local employers at the jobs fairs, and if you can leave them with a copy of your CV it could really help with your job search. CV’s are used to demonstrate to employers what knowledge, learning, skills, competencies and experience you have. An effective CV will not only show your current abilities, but demonstrate the potential you have to be successful in a working environment. How long should a CV be? Ideally, a CV should be no longer than two sides of A4. CVs that exceed this may not be read to the end or at all. For part time work (during studies), a one page CV is sufficient. Do I need to include a personal profile? It’s not essential to produce one, but some may like to use this as an opening introduction. If you do decide to include one it should be only around a couple of lines long and follow immediately after your personal details at the top of your CV. Personal summaries should introduce who you are, what skills you can offer and generally what you are looking for in your next role. Do I list work experience or education first? Should I include my interests? It’s not necessary to include interests in a CV. If you do, use them as examples of specific achievements, such as teamwork roles, personal achievements, leadership roles etc. How should I present my CV? Ideally, aim to put your strongest and most recent qualification/experience towards the beginning of your CV, where it will be noticed by an employer. Avoid cramping your CV with irrelevant information. Instead, concentrate on what important aspects need to included, backing it up with experience. It is always important to remember where you are applying and for which position. Keep your information short, snappy and to the point. It is important to have your CV proof read for spelling/ grammar mistakes by someone you trust. Bad spelling or simple errors can often put an employer off instantly by demonstrating lack of care/attention. Do I need to add references? It is not necessary at this point to provide details of references, but mention that you have references “ available on request”. Remember that you can book to see one of the careers team at your campus for some feedback on your CV. We don’t offer a proofreading service but we can advise on areas that could be improved. Email careers@cumbria.ac.uk or enquire at the library desk. This entry was posted in careers fair, carlisle, CV, job, jobs, Lancaster, part-time work, recruitment, resume, university of cumbria and tagged cv guide, cv help, jobs fair, part-time, pt job seeking cv, seasonal work on 17 September 2014 by UoC Careers Team. Happy ‘long-weekend’ from the careers team! XUK Camps, UK Summer Camp Opportunities. Please note that adverts displayed on this blog are not selected by the Careers and Employability Service, but are generated by WordPress’s advertising software.